Please note that this case study was first published on blogs.ucl.ac.uk/eicah in February 2013. The case study was last checked by the project team on 19 August 2014. For citation advice, visit ‘Using the website’. This case study explores the history of a house (Valentines Mansion, Ilford – shown left), a ship (the Valentine, in its successive reincarnations) and a network of Georgian maritime investors associated with the East India Company (most notably Sir Charles Raymond and his family). More broadly, the case study examines the ways in which profits from commerce conducted at great risk in Asian outposts and Indian Ocean waters came to be reinvested in Britain, refurbishing homes and gardens and reshaping the neighbourhoods in which they were located. Grounded in the eighteenth century, this material history extends to the present day: ‘Valentines, the Raymonds and Company Material Culture’ illuminates global commerce in the Georgian era, but it also reveals the ways in which the Company’s legacy has shaped the built environment of London in the twenty-first century. The Valentines case study is especially distinctive in its broad-ranging and innovative methodology. Painstaking research in the Company’s archive at the British Library and the text-based practices of family and local history underpin this study. But so too does scuba-diving for shipwrecked Company treasure. The illustrations that accompany the case study’s text seek to capture the highly diverse methods and sources upon which it is based. Like the broader narrative presented here, the illustrations date from the eighteenth to the twenty-first century, encompassing Georgian prints and entries from ships’ log-books at one chronological extreme and dive reports and contemporary art installations at the other. Valentines Mansion was originally built in the late seventeenth century for Mrs Elizabeth Tillotson, widow of John Tillotson, Archbishop of Canterbury. In 2000, Georgina Green began researching the Mansion, which still stands and is now open to the public. This section reveals Valentines’ long history and the twists and turns it has taken. Domestic luxury goods manufactured in Britain and Asia featured in Sir Charles Raymond’s purchases for Valentines. Through his experience as Captain, Raymond had amassed the connections and knowledge needed to buy desirable objects such as the Chinese porcelain plate (shown left). This section explores those objects and how they were acquired. The East India Company relied on dense networks of kinship, patronage and sociability to maintain its monopolistic control over Asian trade. Unsurprisingly when returning to Britain, Company men and women often chose to reside in close proximity to each other. Sir Charles Raymond and his circle were no exception as this section explores. 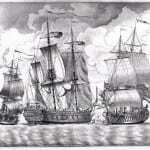 East Indiamen were ships designed to carry cargo, the container ships of their day. Navigating, investing in and managing the vessels that carried the East India Company’s goods from India to Britain was a risky business in the eighteenth century. East Indiamen rarely lasted long and required frequent maintainence and rebuilding as this section explores. Shipwreck was a frequent occurrence in the history of the East India Company in the Georgian era. In recent years divers have changed our understanding of East India Company cargoes by diving on these wrecks and uncovering artefacts. Nearly 200 years after the Valentine was wrecked, a young Guernsey diver, Richard Keen, decided to try and find the wreck. This section explores what he found. To download the case study in a PDF format, click here. 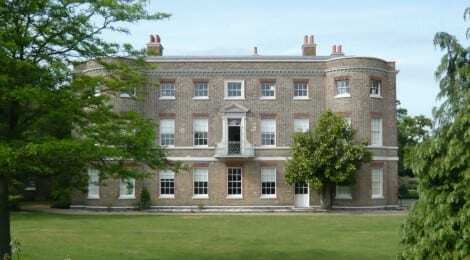 Valentines Mansion in Ilford is open to the public – to find out more about visiting the Mansion go to their website – Valentines Mansion and Gardens. The text, research and images for this case study were primarily authored and sourced by Georgina Green. Secondary text and some images for the case study were authored and sourced by Margot Finn and Kate Smith. Do you know of Andrew Moffat Esq EIC who owned the Cranbrook manor from 1763 and presumably Cranbrook House? It passed to his daughter and then grandson Andrew Moffat Mills. I notice many roads in the area reflect foreign trade too. Andrew Moffatt was very closely involved with Sir Charles Raymond as explained in the case study under The East Company in Ilford. 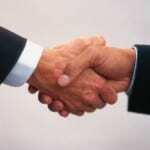 There are several examples of the two men alternating as the Principal Managing Owner of a ship on its voyages. Andrew and his brother John Moffatt were also linked as insurance brokers. Andrew Moffatt purchased Cranbrook from Raymond and the two houses were on opposite sides of Cranbrook Road. There must have been a good bit of socialising between the two families. Moffatt’s eldest daughter married Sir Thomas Mills (nephew of Lord Mansfield) a couple of days before Juliana Raymond married Henry Boulton. Georgina, In your research did you ever come across the Prince family. John Prince eventually captained the Latham in the 1770s and named one of his daughters Elizabeth Moffatt Prince in 1770. She went on to marry Home Riggs Popham who became Rear Admiral of the Fleet. I’m looking at this family for a friend who is descended from the Prince family via other families who lived in Bengal and worked for the E I Company.